Quality and experience you can count on! Transportation is an important and necessary aspect of everyday life. Not only do we need our cars to work right, but we need them to keep us safe on the road. From oil changes to total engine replacement, at Snow’s Garage we work hard to repair your vehicle right and get you back on the road as quickly as possible. We take pride in our work, paying attention to even the tiniest noise, because your safety is our top priority. We get the job done right the first time without doing unnecessary repairs that will cost you more money. 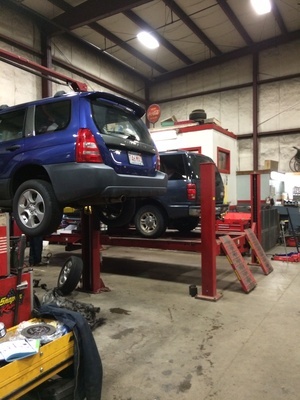 Our technicians use the highest standards when it comes to your car’s condition. Our main concern is keeping you safe on the road and maintaining the life of your car, all the while keeping the cost as affordable as possible. We are the car experts, and you trust us to take care of your vehicle, so it’s our job to be upfront and honest about repairs, explaining the problem and our intended solution. We’ll walk you through it, answering any questions you might have along the way and providing complimentary friendly service. You deserve only the best services for your car and yourself!